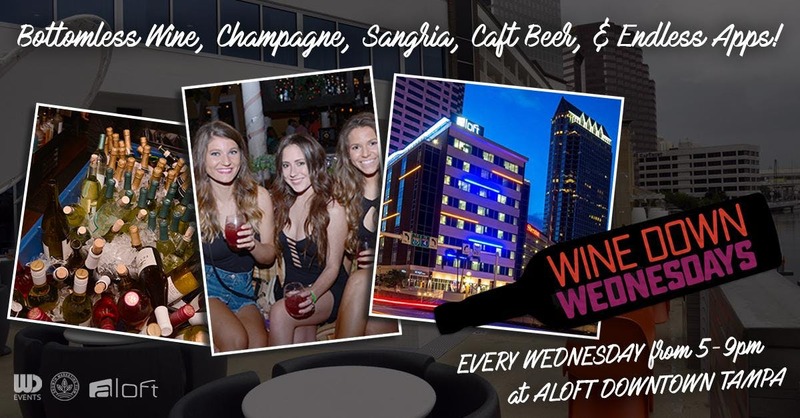 Wine Down Wednesday at Aloft Tampa Gives No Reasons To Whine! Looking for one of Tampa's best new happy hour deals? Look no further. 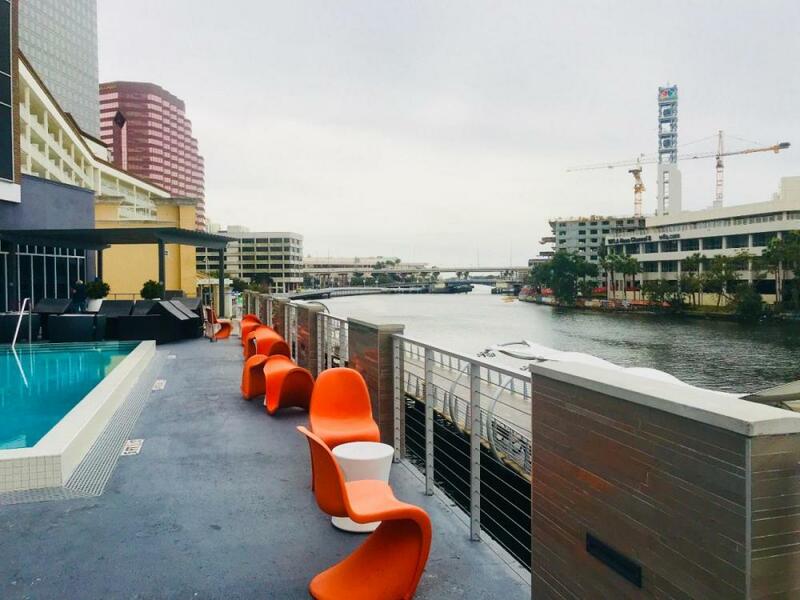 Aloft Tampa Downtown Hotel will be bringing one of their most popular events from Orlando to Tampa this summer: the Wine Down Wednesday Happy Hour. This event is almost too good of a deal to be true. For a reduced price of just $10, you'll get bottomless wine, sangria, craft beer and champagne, along with a buffet of appetizers. Better yet, it'll be running every single Wednesday this summer and fall through October, so you can pick and choose which Wednesdays work best for you to "wine down." Add in a live DJ and beautiful views from the hotel like this below, and you're getting plenty of bang for your buck. You can also RSVP at the event page RSVP at the event page here. 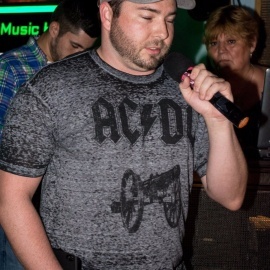 To get the $10 price, you'll need to RSVP and pay for entry by 7 P.M. on the day of the event. The RSVP list will close at 4:30 P.M. that day, but you can still look for a last-minute spot on the guest list by texting WINE to 25827. This is a great way to spice up your week, all while enjoying the summer weather, meeting new people, and reaping the benefits of endless food and drinks for a low price. If you're planning on bringing a large party or are celebrating a special occasion, the Aloft Tampa Downtown offers special deals - contact the event administrator to plan your own unique night out! 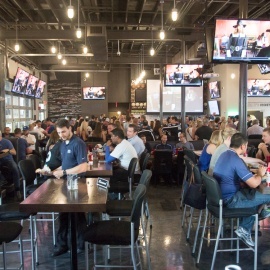 Looking for more happy hour deals in Tampa Bay? Stay here at 813area, and be sure to register: it's free!